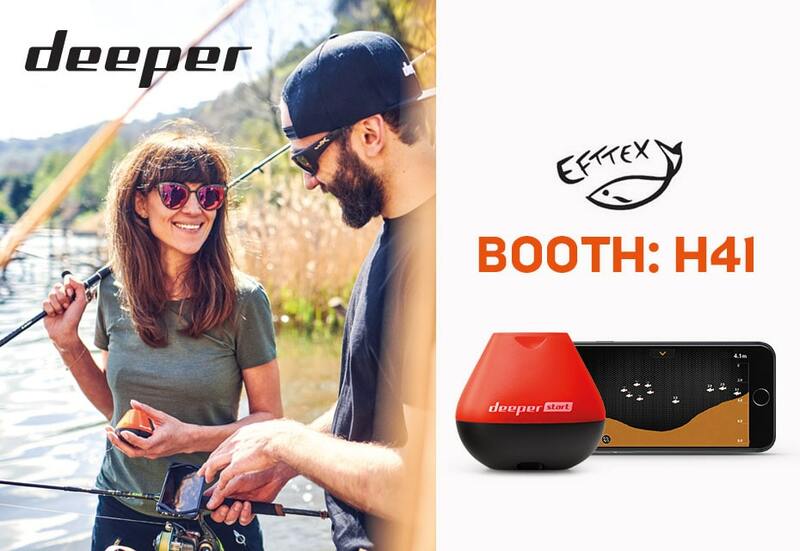 The Deeper team is gearing up for another massive weekend at EFFTEX, Europe’s biggest fishing event. This huge trade show, which runs from 28th to 30th June in Amsterdam, is the perfect place to discover the latest trends and hottest new products in the fishing tackle industry. For the last two years we have showcased a new product at EFFTEX, and 2018 will be no exception. Our brand new fish finder model, the Deeper START, will be on show at EFFTEX. It’s our lightest, simplest and most affordable model ever, and you can see it for yourself at the Deeper Booth (Booth H41) and in the Best New Product Showcase. As a company, we have had an eventful year since the last EFFTEX. Deloitte named us one of the fastest growing companies in Europe, and we picked up a Digital Europe award as well. In terms of our products, one major development was syncing all user data with our secure cloud server, meaning maps and scans are backed up and more accessible. We have also added new features and functions to the Lakebook web portal. EFFTEX is the perfect opportunity to catch up with the Deeper team and learn more about our products and company. Will it be an EFFTEX Awards hat-trick for Deeper? We’re on a winning streak. We were honoured to win an EFFTEX Best New Product Award in both 2016 and 2017 – a huge thank you to everyone who voted for us in those years. And we’re up for an award again! If you’re going to EFFTEX, make sure you check out the brand new Deeper START fish finder at the Best New Product Showcase, and if you like what you see why not vote for it in the Visitors Choice awards? Next Post The GOONCH - A GREAT Fish like no other ! !